The deadly drug Carfentanil finally found its way into the streets of New Hampshire. Three deaths were reported in Manchester New Hampshire in March 2017, and there were also many other incidences of drug overdoses in Manchester as well as other places such as Concord NH and Franklin NH. Carfentanil is a derivative of Fentanyl and it is more than 100 times more potent. Carfentanil comes in the wake of a rising opioid epidemic. Responders and law enforcement in New Hampshire had their hands full even before the presence of Carfentanil was reported in Manchester. By mid 2015 fentanyl, was already responsible for two thirds of the reported drug overdoses in Concord. Even though opioids were never considered to be as bad as other substances such as cocaine and alcohol, in recent years, the number of opioid related overdoses have spiked in the Midwest and New England. The first occurrence of Carfentanil in New Hampshire was reported in Manchester in April 2017. Three deaths and a number of overdoses were confirmed to be Carfentanil. In April, more than 26 overdoses were reported in Manchester. In Concord there were at least 42 overdoses by the end of March. However, there has been no Carfentanil reported death in Concord. In April there were 20 overdoses reported. Authorities believe that it is now responsible for at least 40 percent increase in overdoses reported in the city. Drug manufacturers have been using Carfentanil to lace fentanyl, heroin and other drugs. Drug dealers use it to increase the amount of heroin, make it potent and increase their profit margins. 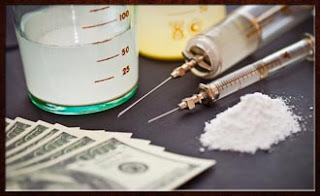 A kilo of the substance goes for a few thousand dollars in the black market, and only trace amounts are needed to adulterate heroin or cause an overdose. Some addicts seek Carfentanil laced heroin because of its kick and longer high. Unfortunately, other users of heroin and other illicit substances may not be aware that the drug has been laced. Therefore many addicts are at risk of overdosing on Carfentanil without even knowing it. Addicts buying heroin and fentanyl available in Manchester and Concord streets may be playing Russian Roulette with this new potent drug that can kill in an instant. Carfentanil granules look like table salt. It may not be easy to distinguish it from other illicit substances that it is often mixed with. Toxicology tests require between 6 weeks and 3 months before they are ready. It is therefore possible that what was thought to be a heroin overdose could in fact be Carfentanil. Also, the substance may already be in areas where drug enforcement and responders thought were not affected. Manchester and Concord have started a Safe Station program for people exposed to the drug. This provides care for addicts who require medical assistance or want to get help for their addiction. Its symptoms are similar to Fentanyl. The symptoms include nausea, itching and respiratory complications. Due to the very high potency of the drug, anyone who comes into contact may get a seizure or die in the process. Law enforcement, health workers, and dogs involved in drug enforcement are at a risk. If you have been arrested and busted with Carfentanil or Opioid. It would be in your best interest to speak with a criminal defense attorney in NH that is experienced in drug possession laws. Currently in the state of New Hampshire, state law allows any citizen to legally own and possess a firearm. Individuals of the state can legally carry the firearm openly, be it loaded or unloaded. However, if an individual has a firearm that is concealed, such as in a handbag or covered by a jacket, then the carrier would be required to have a concealed carry handgun license. There is legislation in the state that is currently moving forward that would eliminate the need for such licensing if the weapon is concealed. Senate Bill 12 is proposed legislation that would extend the permitless open carry laws to permitless concealed carry. This means that individuals who are law-abiding gun owners would have the right to carry openly or with a concealed firearm. The bill is sponsored by Senator Jeb Bradley and recently moved through the House Criminal Justice and Public Safety Committee by a vote of 12 to 8. The bill now moves on to the House floor where it will be considered by the full House. Voters in every state are now being urged to contact state representatives and get them on board to vote in favor of the legislation. With Senate Bill 12, the licensing requirement to carry a concealed revolver or pistol would be repealed. The law would not apply to those who are prohibited to carry a firearm. Individuals who obtain a license to carry would be allowed to conceal or carry openly as well as see a longer time frame before having to renew licensing. Residents would actually be able to have licensing for a five year time frame instead of the previous four. Constitutional carry bills do not have a direct effect on gun control of a federal level but widespread passage of such conceal carry laws in states is a subtle way to undermine federal efforts to regulate guns. The passage of Senate Bill 12 is a state action that will lower the barrier for individuals who wish to defend themselves, making it more difficult to limit efforts by the federal government in regards to gun control. 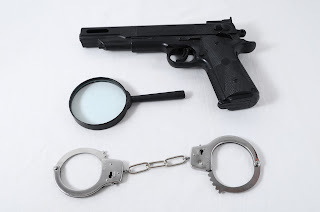 Criminal defense attorneys across the nation have representative individuals in cases where firearms are the main subject of contention. Some defendants may face a concealed weapons charge but be legally able to carry a firearm. With this new law in place, individuals in New Hampshire would not have to worry about such charges as there would be no law against concealed carry, as long as the individual is legally allowed to possess the firearm. For gun enthusiasts, the new law is a step in the right direction. It will be interesting to see if the bill gets the full support of the Senate or at least enough votes to move the bill forward in the process of becoming law.